Bleached staghorn coral on the Great Barrier Reef between Townsville and Cairns, March 2017. But scientists say the surviving coral could be more resilient than ever. More than a quarter of all marine life depends on coral reefs for survival. As coral face an increasing array of threats, from pollution to climate change, the United Nations' Global Goals is calling on countries to protect marine environments. You can join us on taking action on this issue and more here. 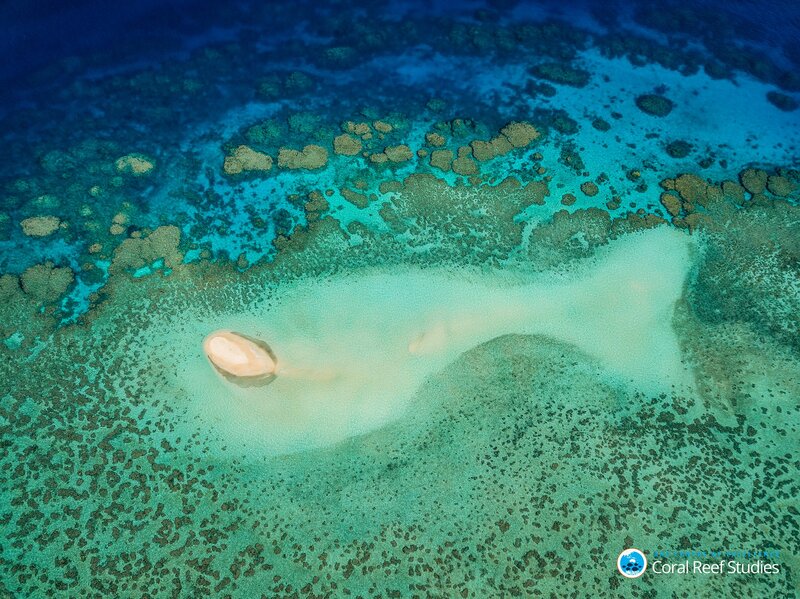 The number of baby corals found throughout the Great Barrier Reef dropped by 89% between 2016 and 2017, following subsequent coral bleaching events, according to a new study published in Nature. The authors said the cause was the fact that so many mature coral died during these bleaching events, so there were fewer corals to produce offspring. Some of the babies will need more than 20 years to develop, and during that time period, numerous bleaching events can be expected. There are variations in the appearance of severely bleached corals. Here, the coral displays blue fluorescing tissue signaling heat stress. The new research seems to confirm an increasingly dire outlook for the Great Barrier Reef, and coral reefs more broadly. 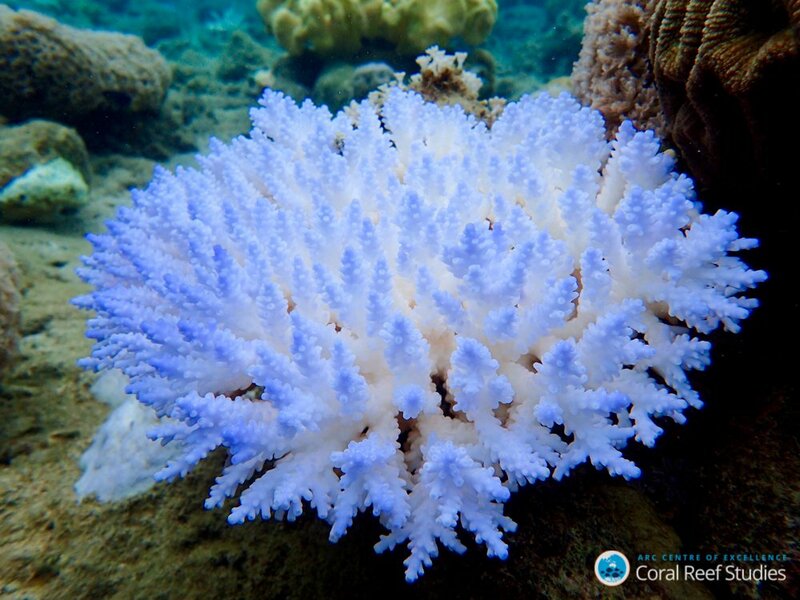 In recent years, bleaching events, when water temperatures rise to levels that stress and kill coral, have wiped out reefs around the world. Some scientists have estimated that coral reefs could be largely eliminated by 2050. But Michael Webster, executive director of the Coral Reef Alliance, told Global Citizen this latest research can be viewed through an optimistic lens. In particular, he said the decline shows natural selection in action. The reef fish at Wheeler Reef, Great Barrier Reef, Sept. 1, 2018. Webster said that while an 89% decline is alarming and unsustainable, billions of baby corals were still propagated across the reefs, and many of them are species that could be more resilient in the face of climate change. When coral give birth, the babies float through the ocean and eventually settle down on different parts of a reef from their parents. As a result, the babies surviving the bleaching events could theoretically be traveling to new areas and spreading their resilient genes. “The mix of those babies is probably different from what these reefs have ever seen, and it’s those survivors that have proven they can deal with what the reefs are facing,” Webster said. Webster said the threats facing coral reefs can be separated into two categories: global and local threats. Global threats include warming ocean temperatures, acidifying waters caused by the absorption of carbon in the oceans, extreme storms, and rising sea levels that make it harder for coral reefs to get sunlight. 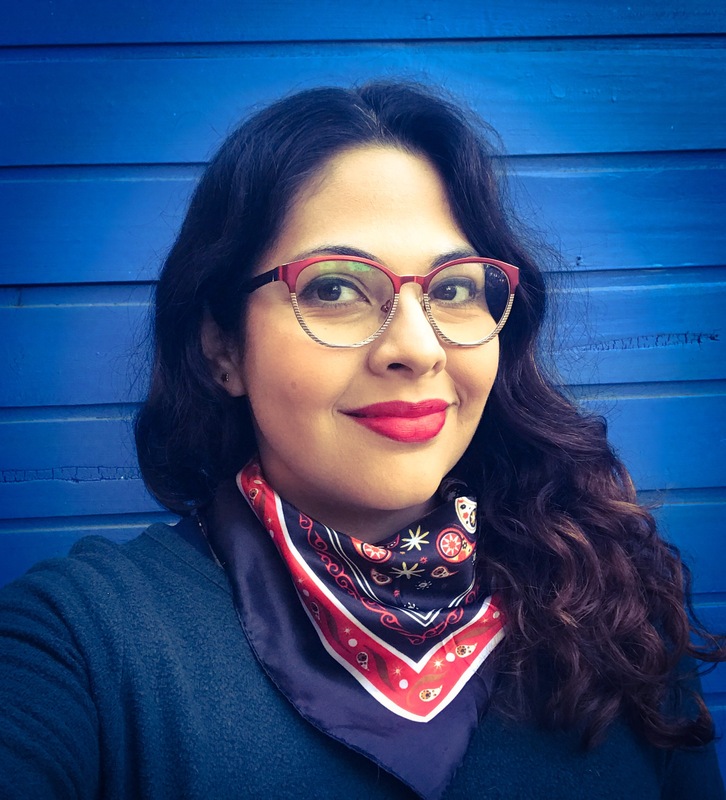 Local threats include runoff from agriculture that can cause algae blooms that compete with coral for nutrients, toxic chemicals from industrial pollution, sediment dumps that can bury reefs, projects that directly destroy reefs, and overfishing. “If you go to a reef and take all the fish, some of those fish help make the coral healthier, and if you remove them it makes the life of the coral even harder,” Webster said. 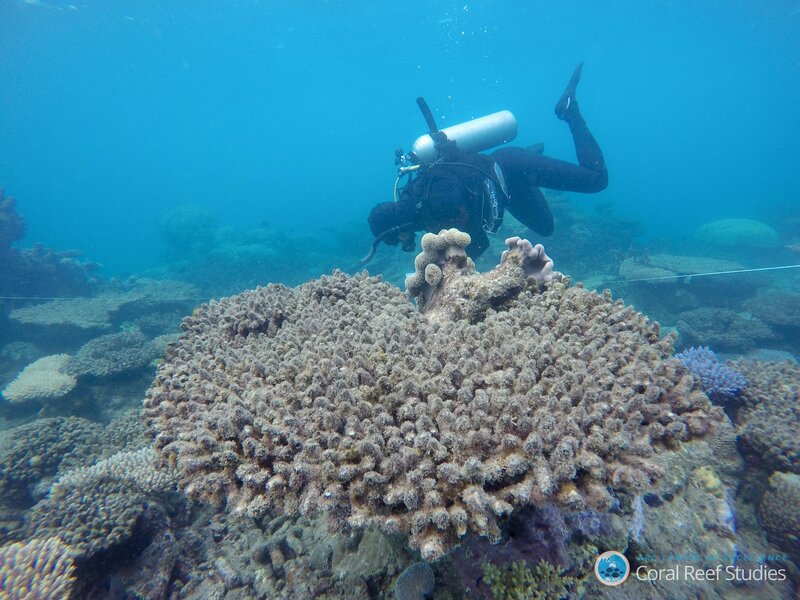 A researcher from the ARC Centre of Excellence for Coral Reef Studies surveys the bleached and dead corals at Zenith Reef, in the northern section of the Great Barrier Reef. He stressed that the best way to help coral is to prioritize conservation efforts that minimize both global and local threats. The motivation for doing so should be clear, he said. Around 500 million people depend on coral reefs on a daily basis, Webster explained, for things like fishing, storm protection and tourism. And a wide array of wildlife — turtles, sea horses, crabs, shrimp, fish, and more — depend on coral to create homes. The compounds found throughout coral reefs are also increasingly yielding major medical breakthroughs, including drugs for cancers, viruses, pain, and sun protection. In recent years, efforts have been made to engineer and breed more resilient coral, but Webster said that giving existing reefs the space and protection to adapt on their own will likely be more effective.